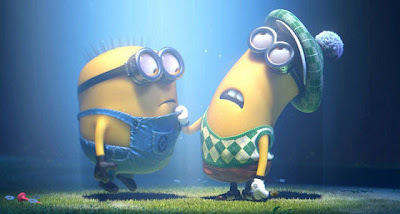 “Despicable Me 2” is definitely, this is one very funny and entertaining film for the whole family! United International Pictures and Solar Entertainment Corp. “Despicable Me 2” blasted onto Philippine screens one week ahead of the U.S. release, kickstarting 2013 with the year’s all-time highest single day box office sales for an animation and ringing in the 2nd biggest all-time opening for an animated movie. "Despicable Me 2"'s biggest opening weekend release for an animated movie of all time with over P100M box office sales and dominated the market on over 120 screens nationwide! 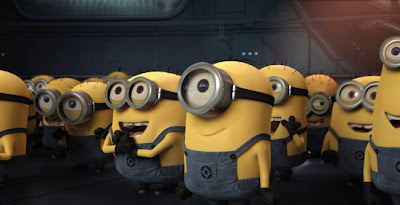 Fans of those naughty little yellow Minions will rejoice as they have practically half of the movie running time dedicated to them, and there are so many more of them here. Fans of good 3D effects will really find this film so cool. I just missed some of the heart that made the first installment more than special. Anyways, small goggle-wearing Minions, Gru's band of devoted little workers, get more screen time for their song-and-dance numbers and slapstick antics in the sequel. Feeling the Minion love, for the sequel, the filmmakers decided to make the Minions more central to the story. Now we have Minions falling in love in this new movie and there’s the fire scene in Gru’s office. So what are the characteristics of Minions why they're loved by Filipinos? Minion blimp, aptly named the 'despicablimp' has partnered with Facebook to promote virtual stickers for fans to share online. Minions are talented - can sing, dance, etc. 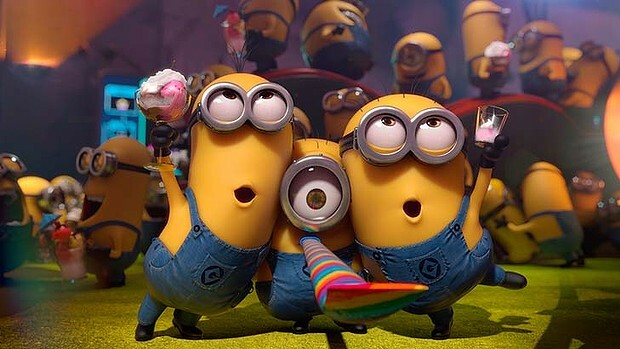 “Despicable Me 2” is released and distributed by Universal Pictures/United Intl. Pictures through Solar Entertainment Corp. Still showing and counting!